In this episode of the 7pm Project, a member of the SSAA mentioned one of the threat in the bush - among them "cougars or mountain lions"! You'll have to scan through the episode to find the relevant comment. More than two months after government officials stormed her home and seized her possessions in a dawn raid, dingo protection campaigner Jennifer Parkhurst says she’s still in 'limbo'. Queensland Department of Environment and Resource Management (DERM) staff seized the photographer’s camera gear, computer equipment, videos and photos in the dawn raid, which it claims was an investigation into commercial activity and illegal dingo feeding. Ms Parkhurst has led a campaign against the state, accusing it of mismanaging Fraser Island dingoes and allowing 'out of control' rangers to illegally kill the dogs. During the raid the state seized years of documentaries into alleged dingo mismanagement. Mr Elmes claims it was the state’s attempt to cover up wrongdoing. Ms Parkhurst has launched numerous FOI applications into dingo deaths, and has been writing a book on Fraser Island's dingoes. High-profile civil libertarian Terry O’Gorman said Ms Parkhurst's situation was 'unacceptable and oppressive'. 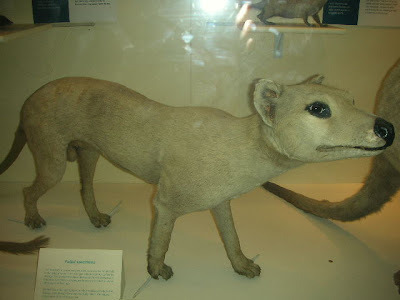 CFZ member Neil Arnold visited the Natural History Museum in London recently and took in some of its cryptozoological exhibits - two of which are relatively close to home for us! The Museum holds several interesting exhibits including a marsupial Tasmanian Tiger (Thylacinus cynocephalus; Greek for "dog-headed pouched one") and a New Zealand Moa (Dinornis robustus), a 12ft flightless bird. He writes about his visit in Museum of Monsters for The Londonist. Read it here. Photo by Neil Arnold. Two Aboriginal rock paintings of Tasmanian Tigers (Thylacine cynocephalus: dog-headed pouched-dog) have been found in a hidden art gallery in the Northern Territory. The paintings were found within an "art gallery" spanning 20,000 square kilometres of Indigenous Jawoyn land from Katherine up to remote Arnhem land. Jawoyn Association Cultural Manager Ray Whear is convinced it's the extinct animal. The paintings will be included in a database destined to be the largest indigenous rock art collection in the world. A Donovans man says he saw an animal on Monday afternoon that resembled a Tasmanian tiger. 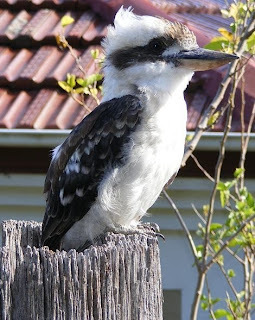 Richard Elliott was driving along Dry Creek Road toward Princess Margaret Rose Cave when he observed the mystery animal near a pine plantation about 3.30pm. "At first I thought it was a fox, but it was too long and gangly," Mr Elliott said. "It had a long tail; it definitely wasn't a fox." Mr Elliott said the animal was definitely not a dog or a cat either. It moved into the bush too quickly for him to determine if it had stripes. Mr Elliott said the animal was long and skinny, with exposed ribs. 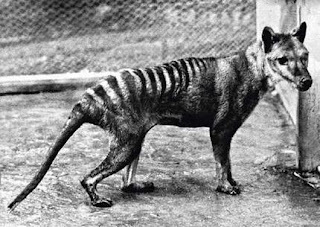 The Tasmanian tiger, or Thylacine, is believed to have become extinct when a captured animal died in 1936. There have been no officially verified sightings of a Thylacine in mainland Australia, but many unconfirmed sightings have been reported in the South East of South Australia, Western Victoria and South Gippsland. 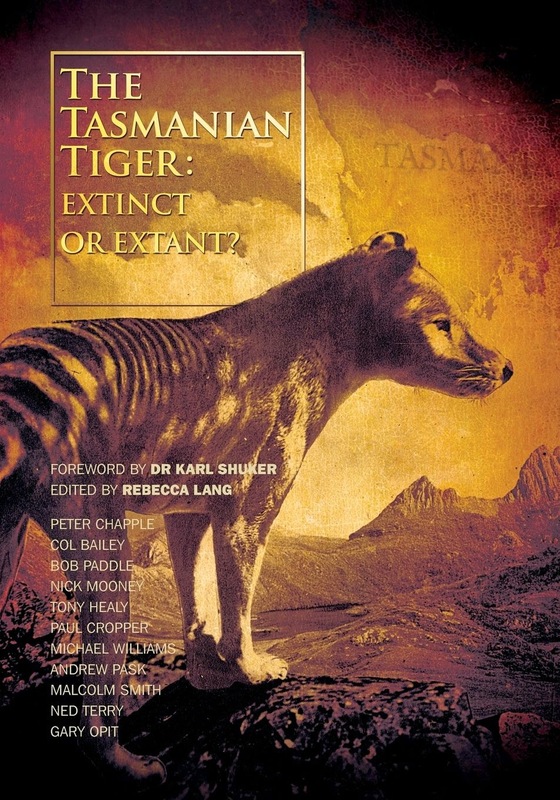 On January 17, 2005, Richard Cooper saw a thylacine in the Great Dividing Range east of Melbourne. The purest strain of dingo in the world could become extinct if management of their habitat, Fraser Island, doesn't change, according to Hervey Bay MP Ted Sorenson. 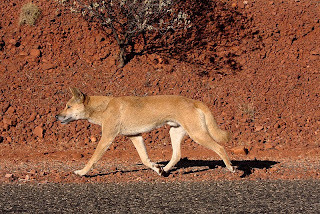 At least 10 dingoes have been killed on the island after attacking people. A 1978 yowie encounter in the Northern Territory has inspired a play that is now touring the country. 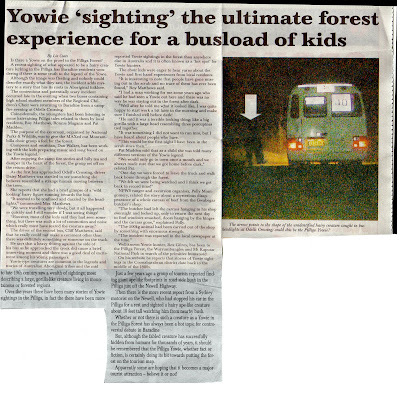 "NT News stories about yowie sightings in Acacia Hills were in fact a key point of inspiration for the piece," she told the Northern Territory News. The play is the brainchild of Ella Watson-Russell, and centres around the kidnap of a man by two "hairy sisters". Intriguing! Writing the play has apparently turned Watson-Russell from a sceptic to a believer. 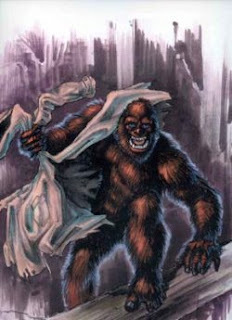 There have been numerous reports of yowies in the Acacia Hills area, most recently in the 1990s. Ouch! 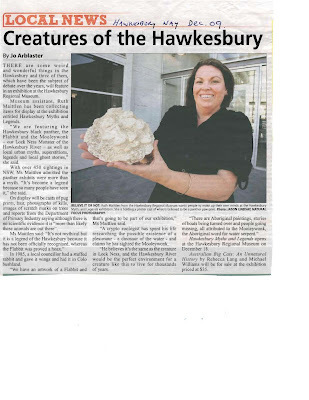 When this whopping grouper fish washed up on Townsville Strand in Queensland this week, the government veterinary pathologist Dr Ian Anderson had a poke around inside and - wha-la! 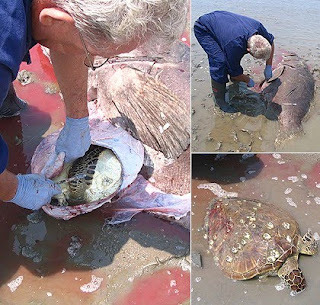 One sizeable (and sadly deceased) 40cm green turtle was tucked away inside. Obviously not more than a mouthful for this plucky predator! The 150kg grouper was washed into the shallows and died shortly after. Dr Anderson is awaiting the results of tests to determine what killed the protected fish. Come to the launch of the fascinating new book A Natural Calling: Life, Letters and Diaries of Charles Darwin and William Darwin Fox, by Professor Tony Larkum from the School of Biological Sciences at the University of Sydney. The book provides new factual material on Charles Darwin, following many years of research into Darwin's relationship to his cousin William Darwin Fox. It is a biographical and historical account of the letters exchanged by these two men and the diaries of William Darwin Fox have never been accessed before. The relationship between Darwin and Fox has been acknowledged as a major biographical source on Darwin. Here the life of Fox is carefully pieced together and compared and contrasted with that of Darwin. Since Darwin and Fox were undergraduates together at Christ's College, Cambridge, and corresponded with each other for the rest of their lives, dying within two years of each other, the diaries allow us a vivid insight into the unique relationship of these two naturalists and family friends. Both were studying to be clergymen of the Church of England, when Darwin was offered a place on The Beagle. Thereafter their lives diverged, as Fox became the country parson that Darwin might have been. Never the less, Fox supplied many facts to Darwin, which were used in the Origin of Species and later books. At the launch, hear Professor Larkum speak about his book, followed by readings of some of the letters in the book by professional actors, over drinks and nibbles. RSVP is essential for catering purposes. 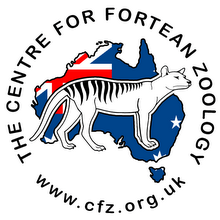 Scientists in Egham have made a Jurrasic Park-style breakthrough that could potentially bring the Tasmanian tiger back to life - more than 70 years after it went extinct. In a story echoing the plot of the blockbuster dinosaur movie, researchers at Royal Holloway University of London, have revealed the complete 'mitochondrial genome sequence' for the thylacine, a marsupial commonly known as the Tasmanian tiger, which died out in 1936. MYSTERIOUS panther-like creatures, long reported to be stalking the outskirts of Sydney, could be moving towards homes. With at least 19 sightings reported this year, big cat hunters believe they're becoming bolder as they search for food and mates. 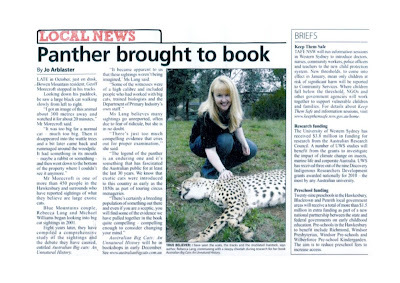 Reports of a panther-like cat roaming bushland in south-east Queensland have been met with scepticism by a Sunshine Coast academic. Glenwood resident Colin Rossow claims to have found footprints of "big cats" on his property north of Gympie. Mr Rossow has plaster casts of the paw prints, which he believes are from two different cats. THERE'S nothing quite like a mystery animal sighting to divert attention from life's less-happy realities such as the global economic crisis. So this week's reports of a big cat prowling the rural suburb of Glenwood, north of Gympie, have not only given some light relief on the news front, they have also reignited the age-old debate over the existence of mythical and mysterious creatures in Queensland. Scientists face a mammoth task in bringing back extinct species, such as Tasmanian tigers or sabre-tooths, writes Richard Macey. Out on the grasslands, a woolly rhinoceros grazes. Over a fence, a sabre-toothed cat stands, watching. Elsewhere, a dodo nests on the ground, while nearby a Tasmanian tiger paces through a eucalypt forest. Beyond the enclosures, crowds of curious visitors, including ginger-haired Neanderthals, gaze in fascination. However, unlike in Jurassic Park's cinematic wildlife reserve, there is not a dinosaur in sight. "There's no chance of bringing back the dinosaurs but other extinct beasts could rise again," the journal New Scientist declared last week, naming its 10 top candidates for resurrection through the rapidly advancing technologies of genetics and cloning.